Over 50 Money Lending Businesses across the Southern Belt of Ghana have benefited from Opportunity International Savings and Loans Limited’s (OISL) Risk Management and Financial Reporting Training. The Savings and Loans Company held the training to improve the capacity of owners and staff of Money Lending Businesses to minimize their risk and improve their financial reporting methods to conform to industry standards. Organized in partnership with the Money Lenders Association of Ghana, participants were drawn from the Greater Accra, Central, Western, Eastern and the Volta regions. According to Samuel Afful, Deputy CEO of OISL, the training forms part of the institution’s financial literacy program designed to equip Ghanaians with financial knowledge to aid them in their daily business transactions. “We at Opportunity International are committed to making our customers and Ghanaians at large have access to education with regards to financial management as it is critical to the survival of the average Ghanaian in their daily business endeavors. 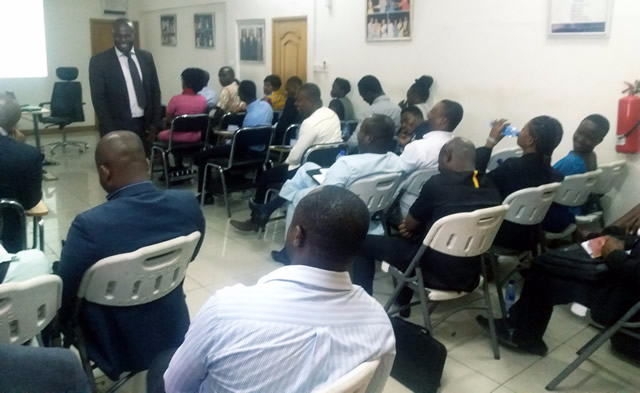 This training provided an in-depth understanding of risks pertinent to their business and how best to manage them to their barest minimum as it touched on Credit Risk Management since lending is basically what they are set up to do,” he said. Mr. Samuel Afful expressed his gratitude to the facilitators and congratulated the 50 businesses for participating and completing the training successfully. Courses covered in the training included Liquidity and Cash Management, Credit Risk Management, Delinquency Management, Financial Reporting (Balance Sheet, Income Statement, Analysis of Financial Ratios), Product Features.